Inspector Montalbano season has ended again after so much waiting. You should know the feeling when you are waiting for a TV series that only shows once a week. Being occupied with too many things at night time, I never get to sit down in front of the TV every Monday night to watch it. Our decoder records it for later viewing when the kids are sleeping. Inspector Montalbano is an Italian TV series based on the detective novels written by Andrea Camilleri. Its setting is in a fictional town called Vigata in Sicily. It's not your usual heavy crime stories laden with violence like what they show nowadays. The stories are always intertwined with Sicilian culture, the way of life, the amazing scenery and the food. Yes, it is possible to put them together because believe me, when Montalbano eats and describes what he is eating (especially in the books), you would wish all the fairies to transport you to where he is and eat what he is eating. 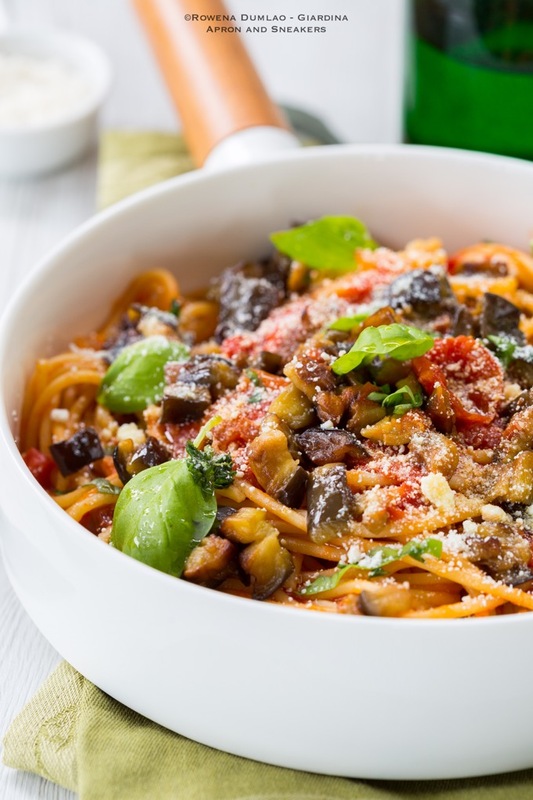 Pasta alla Norma is a traditional Sicilian pasta dish that originated in the city of Catania. 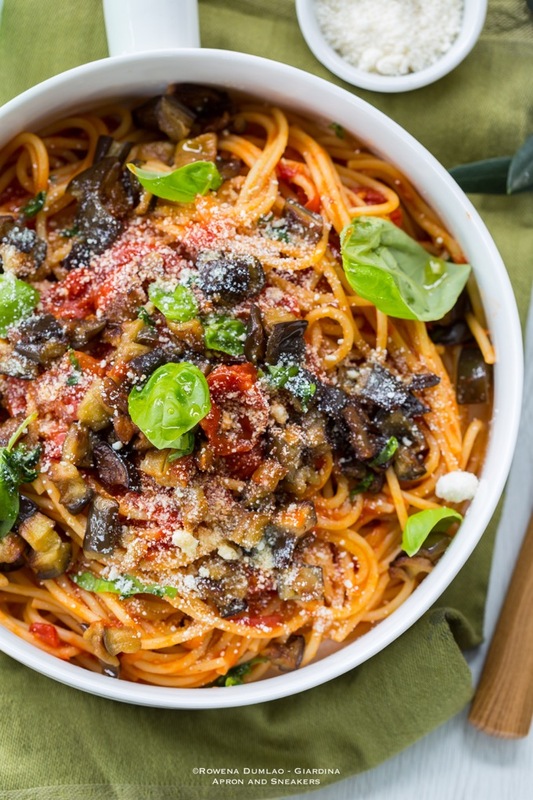 With just four primary ingredients, you can do magic in your pasta dish like what they do in Sicily. In fact, whenever I see a beautiful, shiny aubergine or eggplant, my impulse to make Pasta alla Norma is quite automatic. Of course I have to decide between that and Parmigiana di Melanzane (Aubergine Parmigiana). 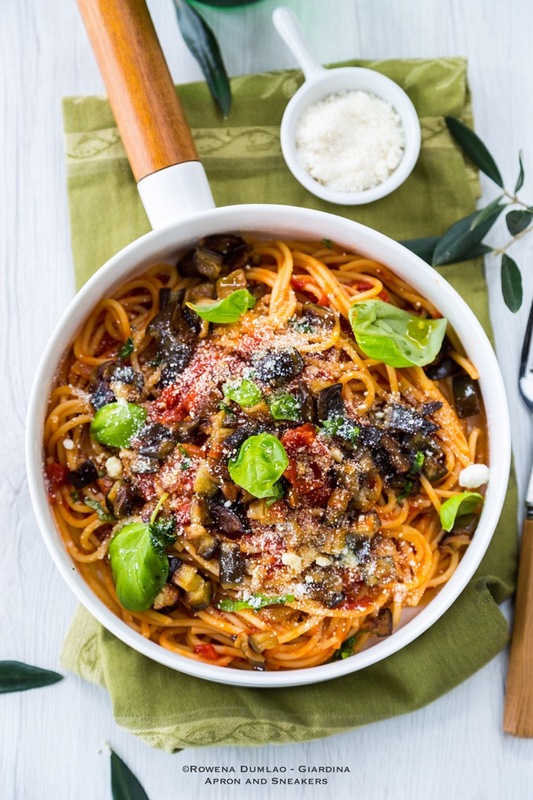 The pasta is slightly faster and less complicated to prepare than the latter but both can reward you with really delicious unforgettable Sicilian meals. So when you encounter some beautiful, purple oval-shaped aubergines, get some ricotta salata cheese too to accompany the pasta. Ricotta salata is different from fresh ricotta so don't replace it with that one. Even if it looks like feta cheese, don't substitute it with the ricotta salata either because the flavor of feta is different. The closest cheese that can easily be bought outside Italy is Pecorino Romano which can be your best bet to come close to the great flavors of Pasta alla Norma. 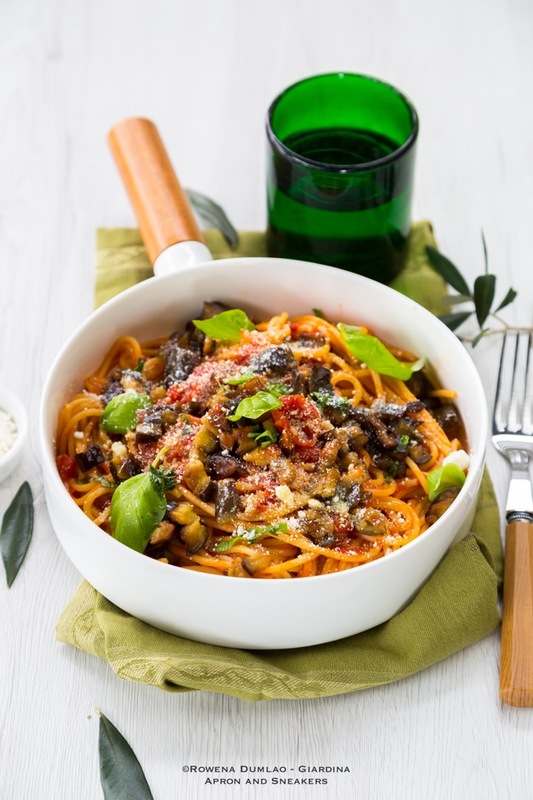 You will also be needing some fresh basil leaves and Simple Tomato Sauce that you can prepare yourself or just buy if you want to skip that part. If you want the full recipe of my Pasta alla Norma, you can get it at She Knows, a site where I create recipes. For more of my recipes there, go to my Profile Page. Thanks and have a great week!